Think back 27 years to 1986. Remember? That was the year the very first musicians were inducted into Cleveland’s brand new Rock 'n' Roll Hall of Fame. The year IBM unveiled the first laptop computer. 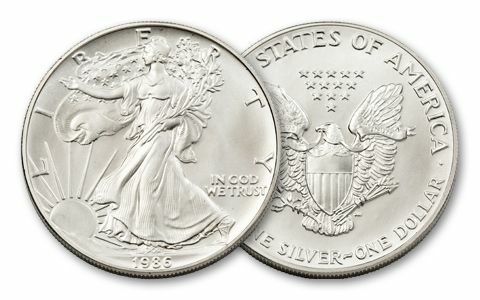 And the year Ronald Reagan introduced the world to the American Eagle Silver Dollar program – beginning the 27-year legacy of the largest and FIRST 99.9% pure silver coin ever produced by the U.S. Mint! Since then, silver prices have gone from $5.74 an ounce to a high of $48.70 in 2011. 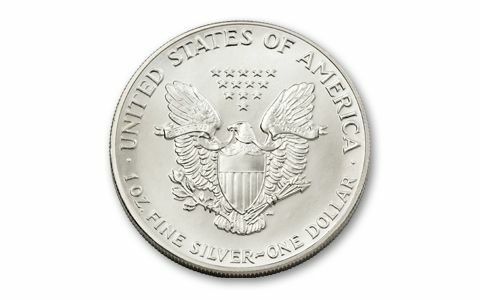 And over 200 million U.S. Silver Eagles have been sold – making it one of the world's best-selling silver coins. But if you missed out on the first one way back when, you’re in luck. 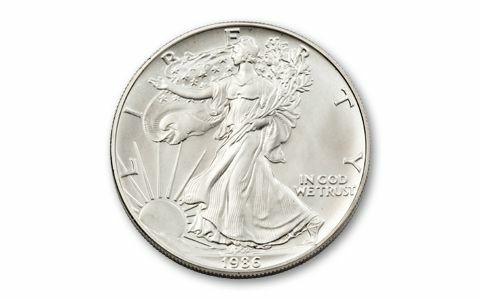 There’s still time to own this 1986 Silver Eagle in Brilliant Uncirculated (BU) condition! First-year issues in any coin series are always highly coveted by collectors. And the 1986 Silver Eagle is not just the first coin of its kind, but one of this popular series’ lower mintages! Don’t wait -- order yours now!